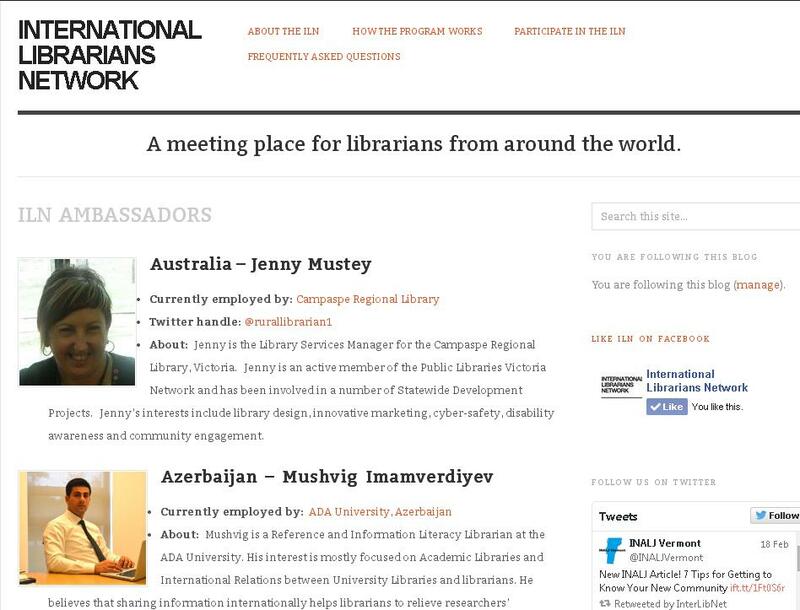 The International Librarian Network Coordinators are now called ILN Ambassadors. The most recent round of the International Librarians Network has come to an end. I have taken part in three of these sessions, and I have found it to be very valuable to my own professional development. 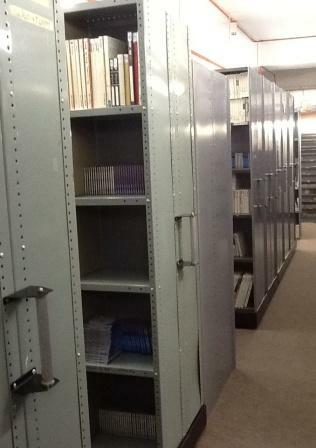 Most recently I have learnt a great deal from Alberto Boada García, a legal librarian from Spain. From Bekti Mulatiningsih from Indonesia who is studying towards a PhD in Information Science, and who helped me tremendously with some of the papers I presented at conferences. I also still keep in contact with Fiona Malcolm from Australia through social media. I am going to answer the questions from two discussions topics in one. What did you learn about the library profession in your partner’s country? It was interesting to learn about the work of a legal librarian. It seems that legal librarians are doing it a bit differently than how we do it in the corporate world or in public libraries. What did you learn about your partner’s workplace? He works for the Judiciary Documentation Centre in San Sebastian (which looks like a fantastic place to stay) in Spain. He is mostly responsible for the website content for supplying judges with legal information. What professional issues do you have in common with your partner? We have the same issues with regards tight budgets and struggling being valued for our specialised skills in Information Science. It is also very difficult to advance in our careers (although I don’t think it is because of the same reasons in our countries), and working conditions are also not always ideal. What professional issues are different for your partner? Because he works in a legal setting, he has different content that he has to work with than in a normal library setting. What was new or different for you about participating in the ILN? Getting to meet with so many new, but also so many like-minded professionals who struggles with the same issues that we do! What are the things you’ve wondered about throughout the program but have never asked? What changes have you or will you make to the way you work, based on your experience with the ILN? I was inspired by my international peers to take more control of my own professional development. They plan and make a plan to attend conferences, although it is not always supported (and financed) by their libraries or corporations. I also got involved with MOOCs and are planning to do them as they come along. Has your approach to professional development changed? Will it? What will you do to continue developing your international network? I will keep on signing up at the International Librarians Network! Of course! I will also continue with my participation in social and professional networks. One thing that I missed in this round was the fact that my international partner was not involved in social networks such as Twitter. He is connected to library lists and networks in his country, but not connected on the global platforms. I would have liked to have more networking opportunities with him through these channels!